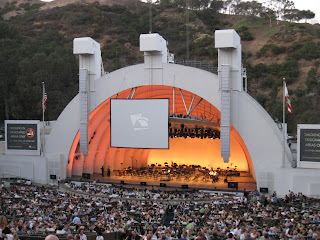 Last night the husband and I took the boys to see John Williams, the famed composer of a laundry list of incredible movies known the world over, conduct the Los Angeles Philharmonic at the Hollywood Bowl in Hollywood, CA. I've been to the Hollywood Bowl many times over the years and so enjoy the alfresco dining on picnic tables or on tablecloths placed on the grass but last night we did things a little different. 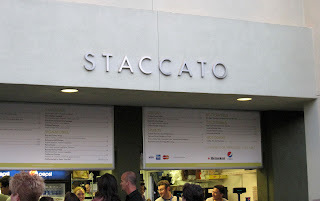 We purchased our food at Staccato, a typical feed-the-masses food service outlet but were pleasantly surprised at how good the food was. We ate sitting on planter boxes made for alfresco dining and enjoyed some very eclectic people watching. The women wearing the four inch cork heels (and there were more than one) cracked me up the most as the hill up to the Bowl is quite a hike. came out onto the stage and narrated a portion of The Reivers, a William Faulkner book which was made into a movie starring Steve McQueen in 1969. While Taylor was speaking, the LA Phil performed the score to the movie, coincidentally composed by Mr. Williams. I had not heard it before but it was gorgeous. 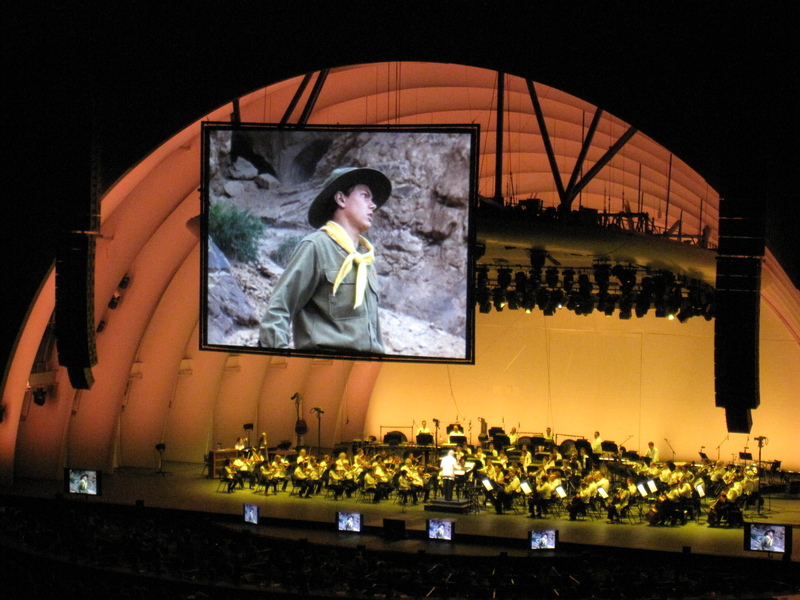 Another fun highlight of the night was when Mr. Williams did his own musical commentary while playing on the various screens around the bowl was the opening sequence of Indian Jones and the Last Crusade (photo shown above). After showing us the segment without music, they then replayed the sequence with the LA Phil playing the score. What fun that was to musically understand where and why certain sounds were played in specific places! I could have listened to that all night. The rest of the evening was a mix of Harry Potter and Star Wars songs which were big crowd pleasers but I'll admit that I was disappointed that they did not play the main score to Jaws...that's a great score. One more thing...I just finished the LAST Supernova block. 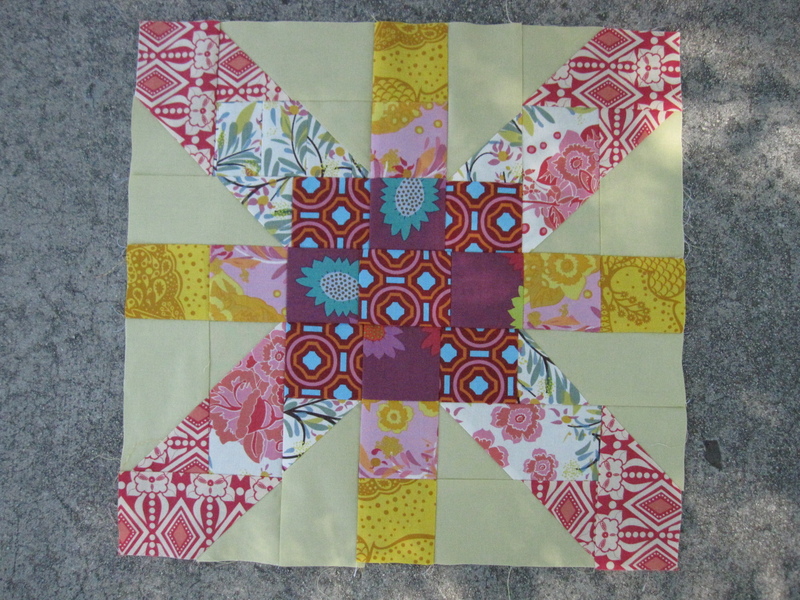 A little wonky and a huge stretch to find enough fabric but it's finished. I saw him at the Hollywood Bowl last summer Susan. It was such a delight. Way cute block BTW. wow - what a fun evening for your family! Very cool. And congrats on the last Supernova block! You know I love it! That sounds amazing! I love John Williams' music. What a great way to spend an evening. Hooray for the last Supernova block! Looks great!